Check out these three Mk47 KRINK-Equipped Model rifles from CMMG. 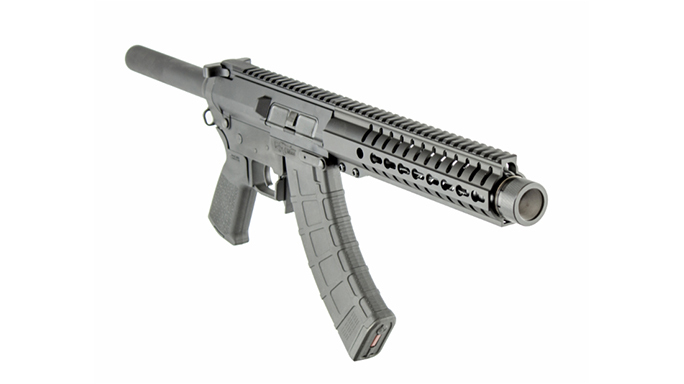 CMMG’s new KRINK models include the Mk47 AKS8 AR Pistol, Mk47 AKS8 SBR (short-barreled rifle) and Mk47 AKS13 rifle. 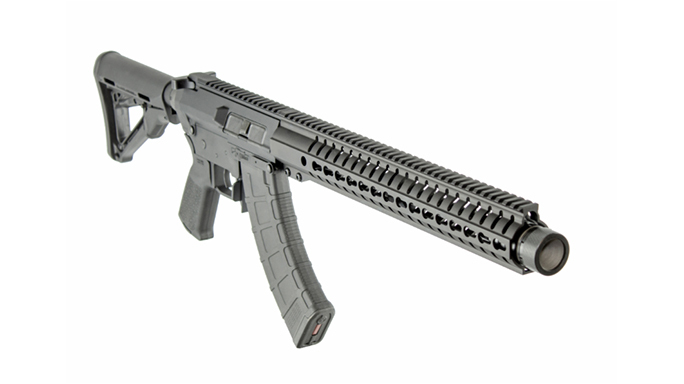 CMMG has unveiled the Mk47 line-up featuring a KRINK-style muzzle device. 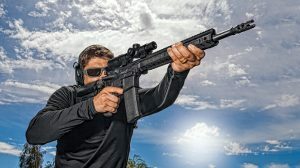 Similar to the original Mk47 MUTANT design, these new rifles are built around the 7.62x39mm caliber and feature a shortened AR-10 sized bolt carrier group that is paired with a unique upper and lower receiver to minimize weight and increase ergonomics. 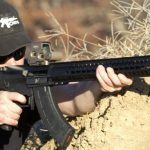 One of the primary benefits of the Mk47 design is its ability to accept existing AK magazines and drums. The new Mk47 models come equipped with KRINK muzzle device. These new KRINK models include the Mk47 AKS8 AR Pistol, Mk47 AKS8 SBR (short-barreled rifle) and Mk47 AKS13 rifle. 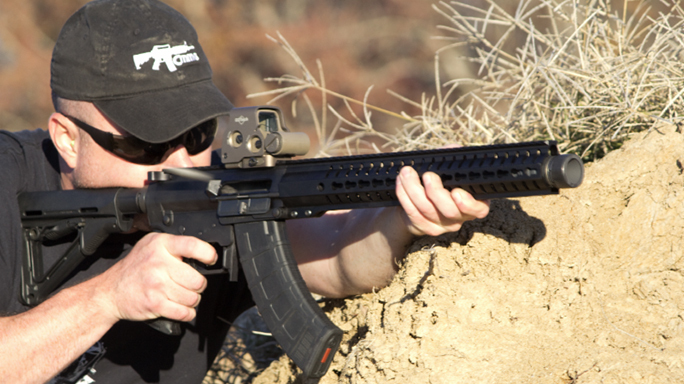 “Our KRINK-style muzzle-brake design was derived from an AK, which we modified to thread on standard AR threads. 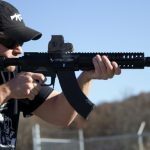 It serves as a booster, flash suppressor, blast reducer, and reduces recoil slightly,” said Tyson Bradshaw, Engineering Manager at CMMG. 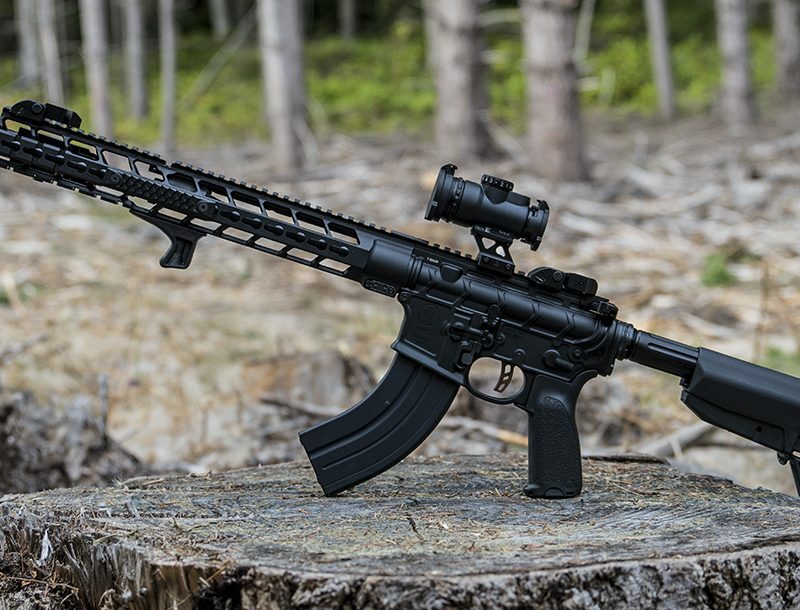 The Mk47 AKS8 SBR (all NFA rules apply) has an 8-inch barrel with a 9-inch RKM KeyMod™ Handguard, a Magpul CTR Buttstock and Magpul MOE Pistol Grip. It comes with a CMMG single-stage trigger and one Magpul AK PMAG. 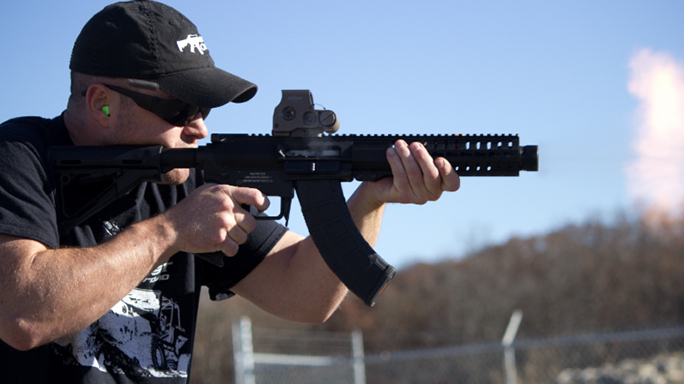 The full-sized Mk47 AKS13 has a 13-inch barrel with the KRINK muzzle device pinned and welded permanently to the end of the barrel to meet the 16″ requirement for Title 1 Firearms. 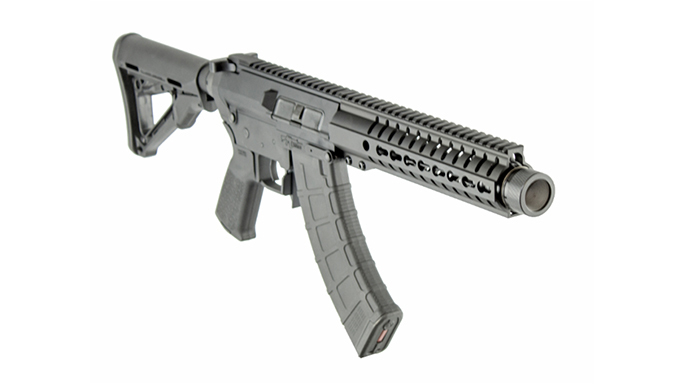 It features a 15-inch RKM KeyMod™ handguard, a Magpul CTR Buttstock and MOE Pistol Grip. It comes with a CMMG single-stage trigger pre-installed and one Magpul AK PMAG. All of these new models are currently in production and are available at your local CMMG dealer. For more information, visit www.cmmginc.com. Get a handle on the smoothest-shooting new 5.56mm on the block — the SLK8!